Failed States is an album filled with relentless instrumental assaults as well. Thrash and metal influences do occasionally show, but it is more accurate to call this a punk rock album through and through. “Things I Like” is an upbeat, no-frills punk song and the most traditional-sounding track on the record, one that would not have sounded out of place on 2001’s Today’s Empires, Tomorrow’s Ashes. “Devil’s Creek” is a melodic powerhouse of heavy riffs, and comparable to something A Wilhelm Scream might produce. The melody at the beginning of “Duplicate Keys Icaro (An Interim Report)” is revisited midway through the song, then abruptly cut short as the verse becomes an aggressive attack of frantic guitar and drum work. 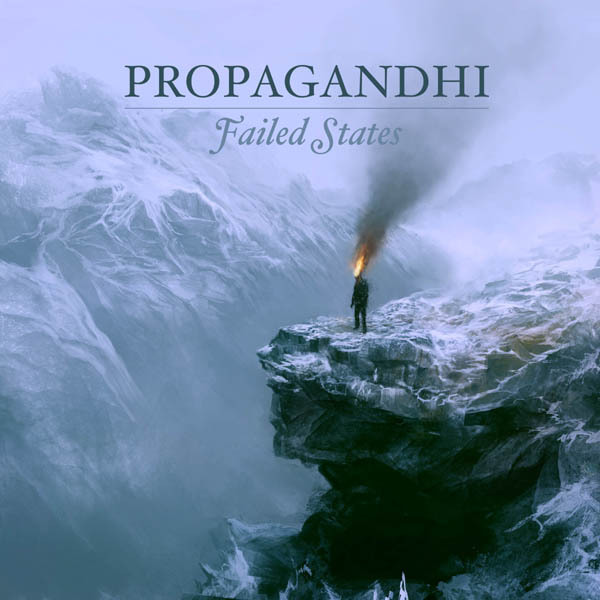 Put simply, it’s not enough to call Propagandhi a political band; this is an album written by educated, intellectually formidable songwriters, and Failed States is built upon complex, critical thought rather than myopic sloganeering. Propagandhi is as good as it ever has been. This entry was posted on Thursday, September 20th, 2012 at 3:06 pm	and tagged with A Wilhelm Scream, canada, canadian punk, caster semenya, chris hannah, Epitaph, epitaph records, failed states, g7, g7 welcoming committee, propagandhi, todd kowalski and posted in New Music, Reviews. You can follow any responses to this entry through the RSS 2.0 feed.